Welcome to #ICE19! The ICE Conference is a teaching and learning conference that attracts educators, educational leaders, and pre-service teachers from PreK - Higher Ed. The conference engages educators from across the Midwest in an exploration of pedagogical strategies and resources connected to instructional technology. Districts, schools, classrooms, and libraries will all gain valuable insights at one of the Midwest's largest educational technology conferences. In fact, last year was our biggest conference ever as over 5,000 unique visitors joined us at #ICE18. #ICE19 will showcase nationally recognized speakers as well as more than 400 informative sessions and workshops. Over 170 corporate sponsors & exhibitors will also be on-site showing their support for the ICE Conference and technology in education. 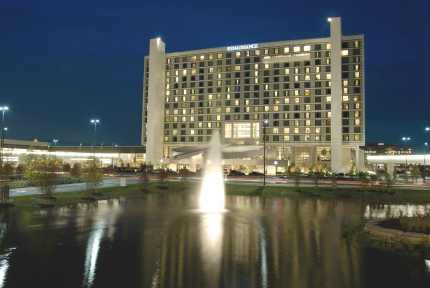 After a successful transition last year, the ICE Conference will again be held at the Renaissance Schaumburg Hotel and Convention Center in Schaumburg, Illinois. We received a lot of positive feedback and will continue to work towards making #ICE19 even better. We hope that you will join us! Be sure to save the date and join us on February 25-28, 2019 at #ICE19. 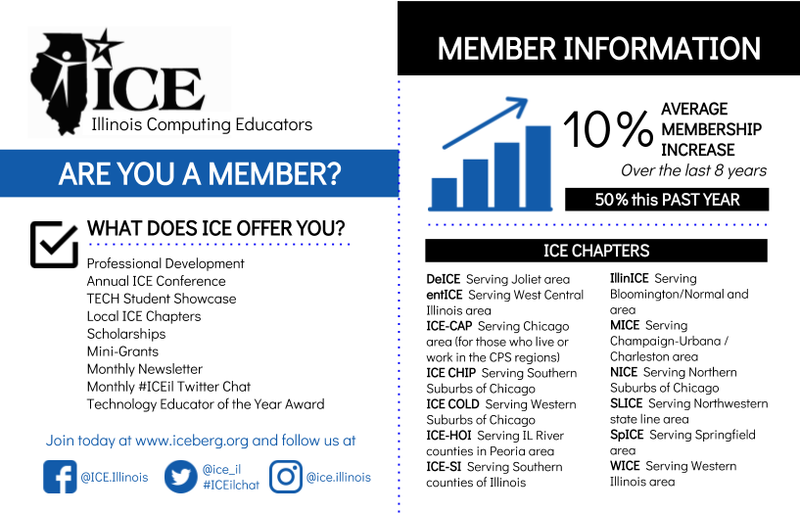 ICE is the largest organization in the state devoted to the use of technology in education and is an organizational affiliate of the International Society for Technology in Education (ISTE). For the past 31 years, our nonprofit member organization has played a vital role in supporting the integration of technology in education. The 2018 ICE Conference attracted 5,000 unique attendees, 170 exhibitors, and 400 educational sessions.